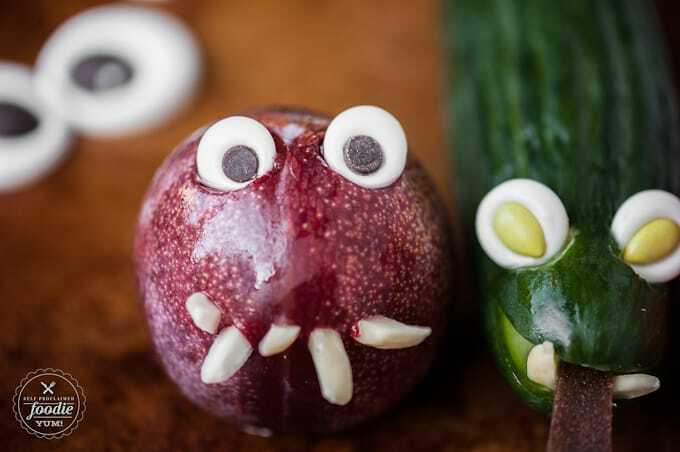 I’ll show you How to Make Candy Googly Eyes so you can bring your Halloween treats to life with chocolate centered eyes that can be any size you want! Okay, this post will be quite entertaining. 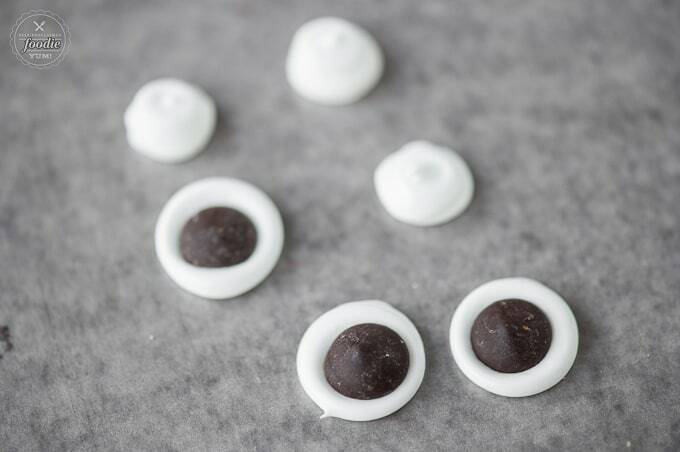 Not only because my googly candy eyes turned out so freaking cute, but because I made an entire batch and waited an entire 24 hours for them to dry and used up all of my mini chocolate chips, only to see that they turned out to be a severe pinterest fail. This might be a long read, but I beg you to read this part of the post because its a story of triumph. A story of determination. A story of how crazy I am. 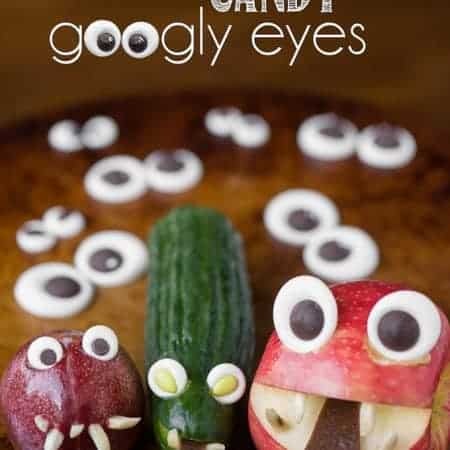 I knew I wanted to make candy eyes because I have seen them all over pinterest on adorable little monster cookies and such. Damn you pinterest! Well, I saw them at craft and cake making stores and they were between $4-$6 per package and the little pupils were smack dab in the center. Boring. I saw people making their own and posting about it, but they colored part of the frosting jet black and the color either bled into the white or they put the little black dot on top which looked funny to me. Sorry, fellow bloggers, but I didn’t like your candy eyes either. So, I went about it my own way. Only problem is that I had no idea what the consistency should have been for the perfect eye. What did I do? I grabbed the largest damn egg in my refrigerator, because bigger is always better, right? You see, I get the most beautiful organic, free range, happy-chicken-eggs from a guy I used to work with who happens to live on a farm. Every egg is different and they vary quite a bit in size. Turns out the egg-stra (get it?) egg white made my icing quite runny, but I went with it. The final result is what you see above – flat eyes. I even went so far as to slice the top off of each damn mini chocolate chip so that it would lay flat. Plus, I didn’t have wax paper so I used my silpat. That thing is amazing for baking, but I don’t think it helped my flat lame little eyes properly set. So, by this point I was completely pissed off but determined to make it work, much like I was by the third time I attempted to make my salted caramel sauce after the first two failed attempts. The result this time? Perfection. I had the perfect consistency. Only one problem… I had used all of my mini chocolate chips in the previous batch. At this point, I got creative, and I was so glad I did. First, I started picking the mini chips out of the failed eyes. That was a serious pain. Then I got out my candy covered sunflower seeds and thought they looked kinda cool. Then I remembered I had some larger chocolate baking chips and the fun really started. I started off putting them in the center, but remembered that to be googly, they had to be more on the side, right? So that’s what I did. This is the beauty of making them on your own – you can have fun with it (once it actually starts working as intended). I had little eyes, big eyes, yellow eyes… all sorts of cool ones. My favorite eyes were the ones I used with the large chocolate and I used the tip of the frosting to add little highlights. Edible art! 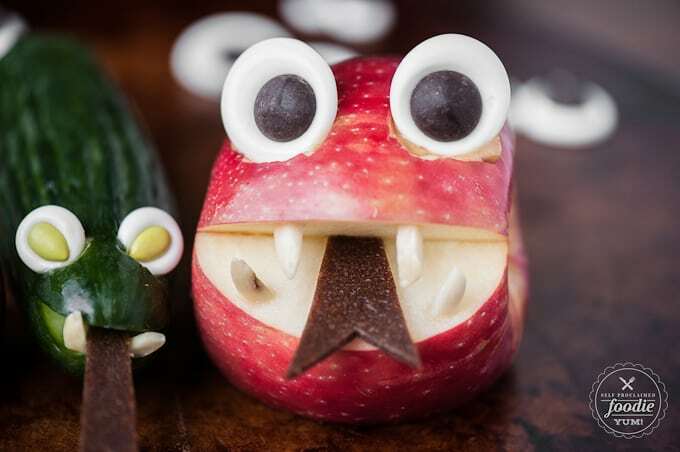 I love it when my kids think I’m super cool, and when I took some fruit out and started making faces with my googly eyes along with some blanched almonds and fruit leather, I was pretty damn awesome in their eyes that day. 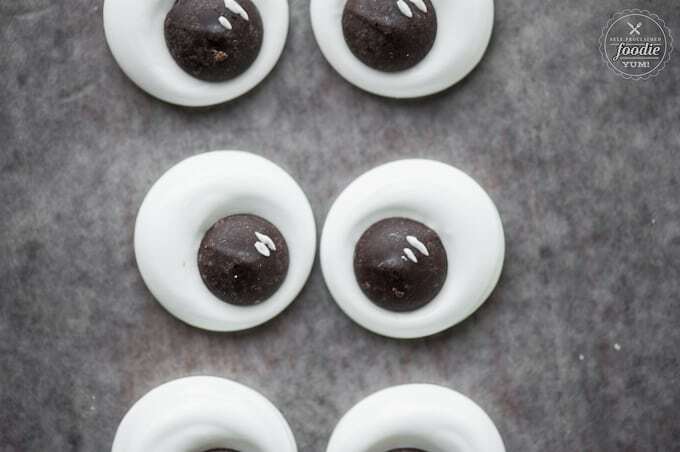 I plan on making some really fun cookies this month using the eyes as well as a fun Thanksgiving treat, so you’ll have to check back! 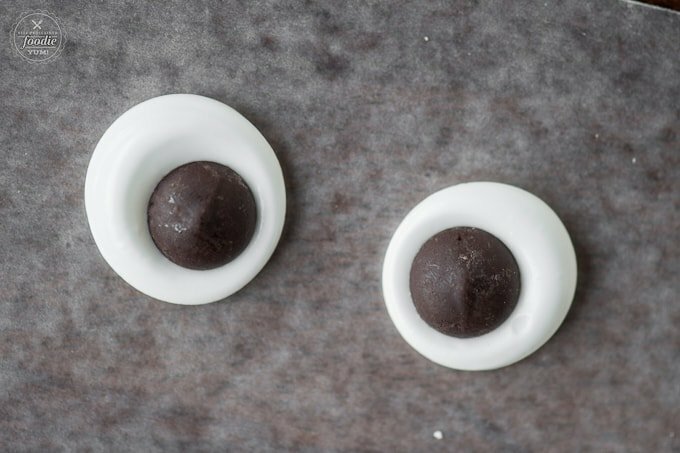 I'll show you How to Make Candy Googly Eyes so you can bring your Halloween treats to life with chocolate centered eyes that can be any size you want! Combine the egg white and sugar in the bowl of your mixer. Use the whisk attachment to beat on medium speed for 4-5 minutes, occasionally stopping to scrape down the sides as needed. 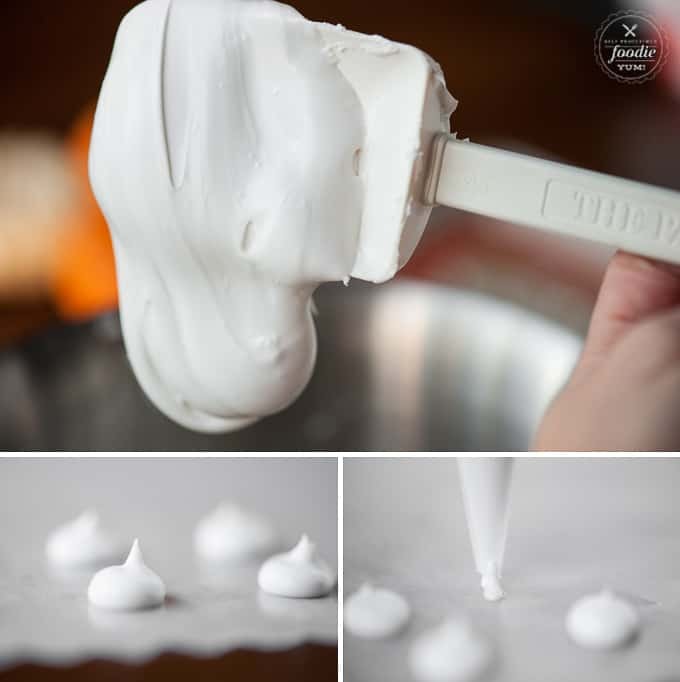 The final consistency must be such that you can scoop some up and it will stick to the spoon, but if you tilt the spoon, the thick icing will eventually fall off. If its too thick, add water in one teaspoon increments until you've reached the proper thickness. If its too thin, add additional sifted powdered sugar. 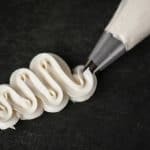 Add the frosting to a piping bag with a small round tip, or you can just snip the corner of the bag off. 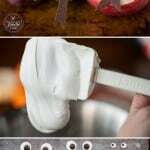 Lay out a large piece of wax paper and squeeze straight down to make a mound the desired size to make an eye. Don't make more than 10 or so before putting the candy piece on top because the eyes will begin to dry right away. Allow to sit at room temperature for at least 24 hours before removing. How long do they keep and how should they be stored? Thanks! I’m totally doing this for my Cookie Monster cake! This was egg-celent!! And when your kids think you’re cool, it’s because you ARE!! Fun artsy wishes!! Thank you for posting this blog. 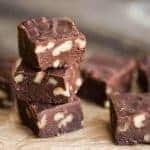 I’m a private caterer and make all my baked goods and edibles from scratch. 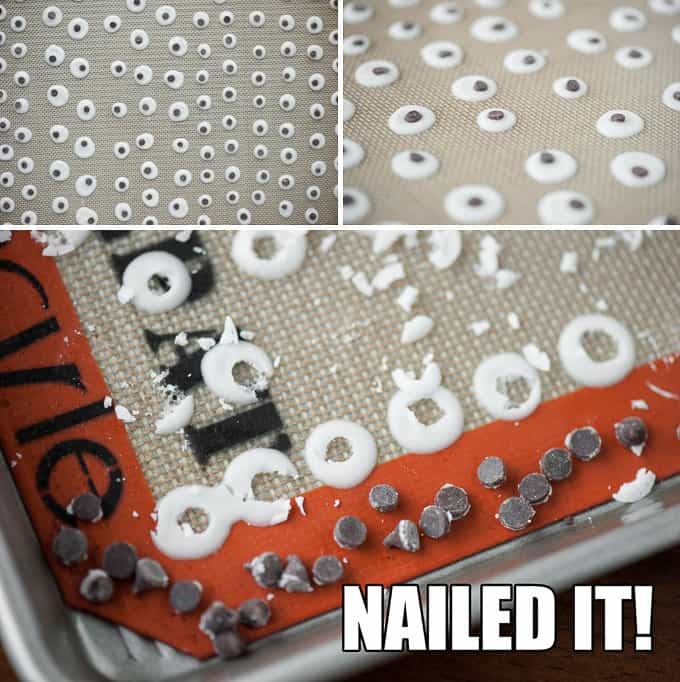 I actually needed to make several dozen eyes for an upcoming party and my recipe is tedious. 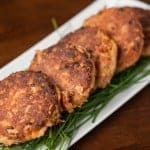 I will be trying your recipe today. Thanks again for the post. P.S your eyes are adorable. 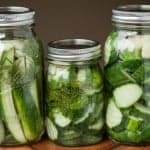 Can you refrigerate to speed the hardening process? I haven’t tried so I don’t know for sure. 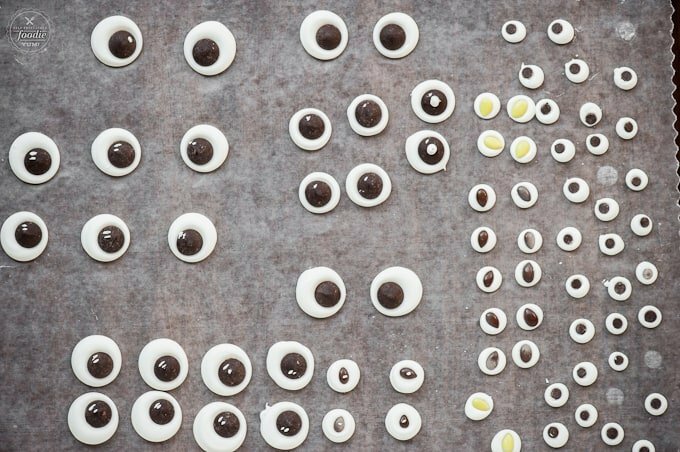 Roughly how many eyes does your recipe make? It completely depends on the size of your eye, but it will make a TON. Omg! Thank you so much for posting this. 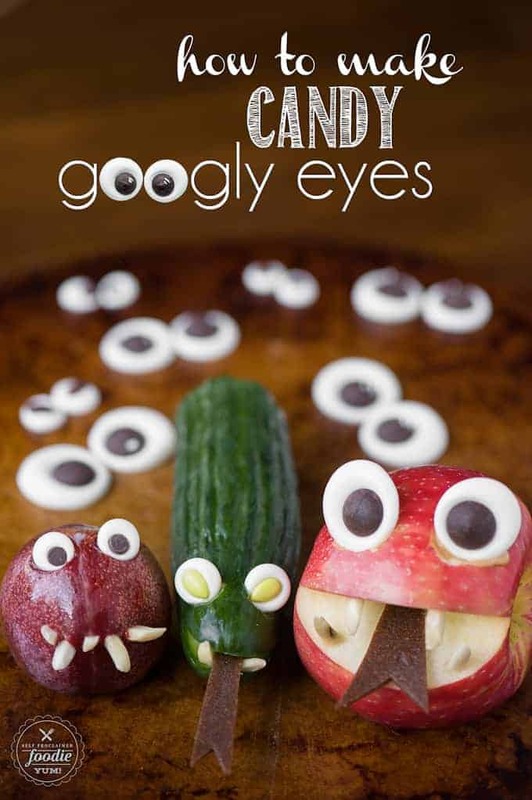 My kids are the candy eyed I bought for Halloween brownues. I was not about to go to the store last night. I made these for Halloween monster cupcakes and they were totally awesome! 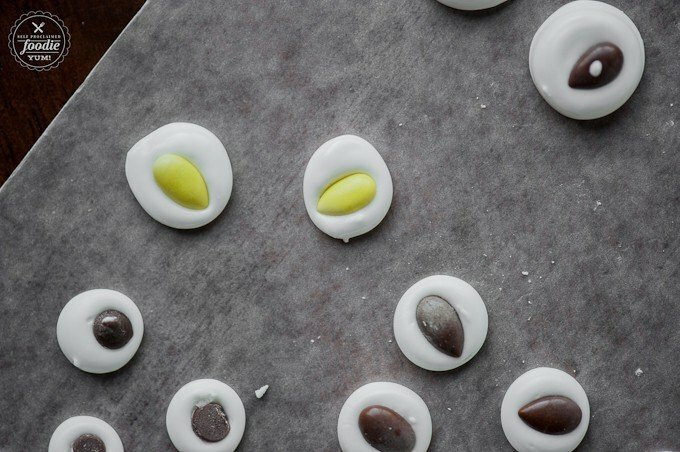 I’m curious to k ow if I could add a drop or two of food coloring to make other little candies, but I’m worried it will wreck the recipe. Hi Jessica, I’ve never added food coloring. I would think gel would work best. If you try it, will you let me know? Thanks!